> LAMINATING POUCHES>BULK Laminating Pouches>BULK Large Menu Size 12"x18" Laminating Pouches *Case 10 Boxes! Pouch Measures 12" x 18"
Wholesale Laminating Supplies + FREE SHIPPING! 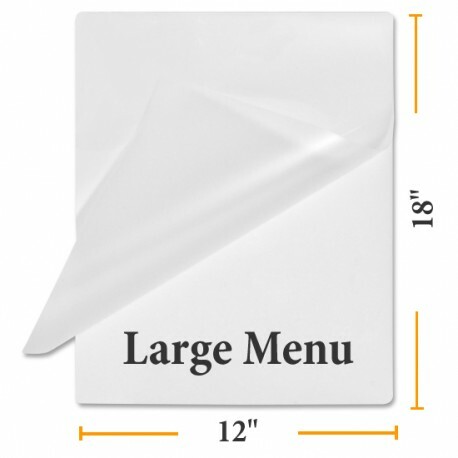 Large Menu Size Pouches also available by the box of 100. Pouch Measures 12" by 18"
Protect important letters and large size paper documents from UV rays, folding, spills and general damage with thermal lamination sleeves using these laminating pouches. 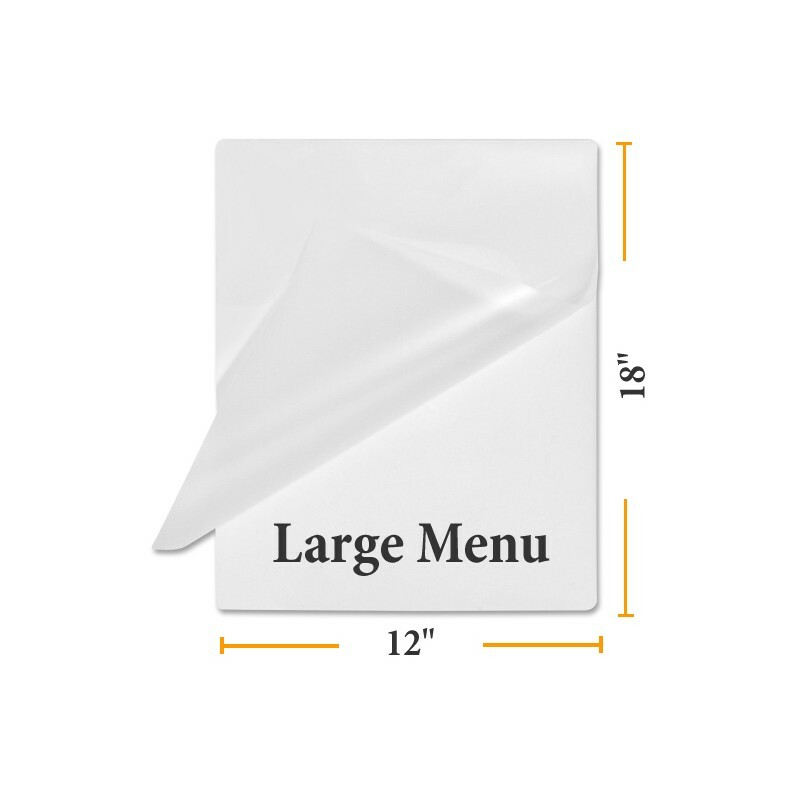 These easy to use, ledger size heat activated lamination pockets offer a cost effective way to protect your larger documents include signs, menus, dry erase materials and more. Laminating pocket is sealed on one edge for ease of use. Place prepared material in pouch and place pouch into hot pouch laminator. Get a great discount on laminating supplies when you buy pouches by the case at Buy Lamination.